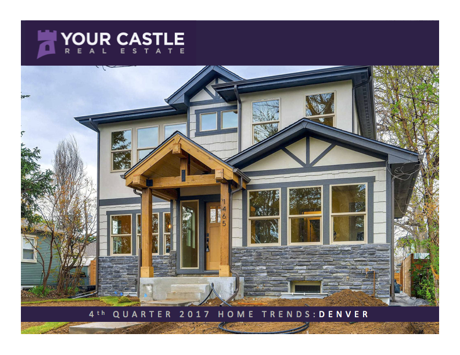 Our Firm's real estate trends and data covers the entire Denver Metro area and is updated quarterly. The most recent overview of the Single Family Home Real Estate Market in the Denver Metro Area. 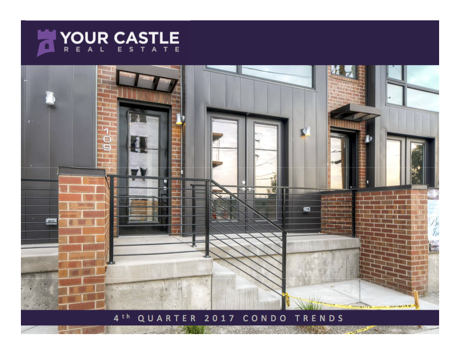 The most recent overview of the Condo Real Estate Market in the Denver Metro Area. 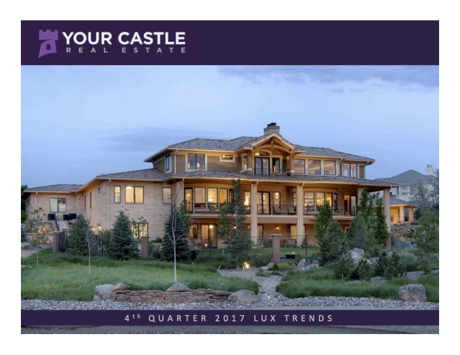 The most recent overview of the Luxury Real Estate Market in the Denver Metro Area. 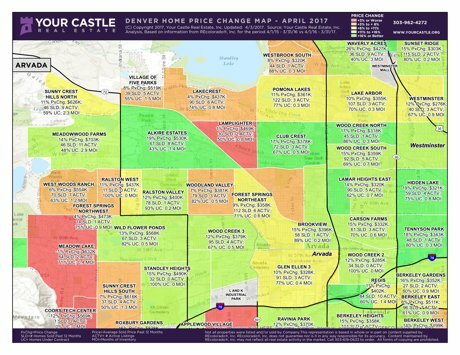 These maps show price change, numbers of sold homes, and the average sold price for the past 12 months. They also show the current percentage of homes under contract, months of inventory, and active listings. 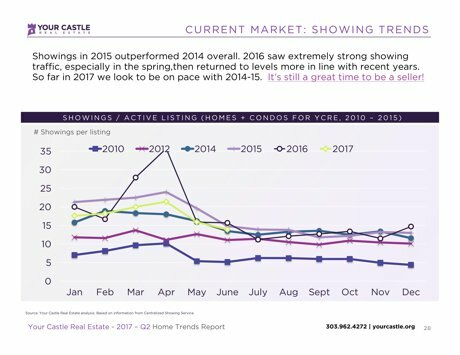 This shows the average number of showings per listing and includes previous years.